Here at The Cakery we break our way into over 15,000 eggs a year. They are a vital part of many of the items on our menu – they make our brownies rich, our cupcakes light and airy and give our scones a lovely shine. As they are so important to us, we make sure to ensure we always use free-range eggs. Yesterday, I went with my family to Carmarthen to adopt four ex-battery hens. These hens had been kept in cages for their whole lives, and now that they were no longer consistent layers they were on their way to be used for cat food! 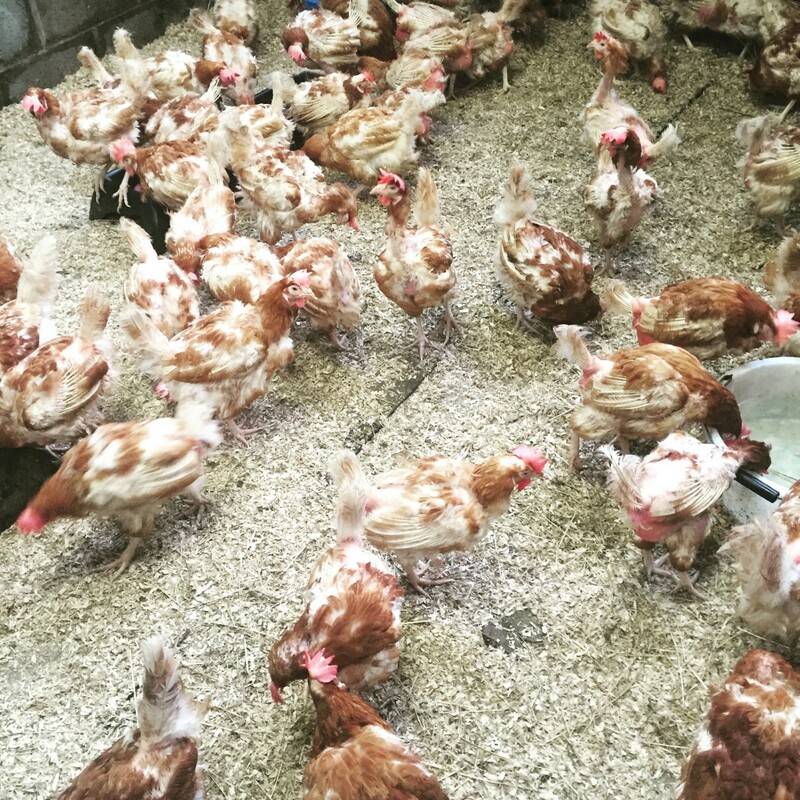 Before they got packed away, they were collected by the Battery Hen Welfare Trust who takes the time to find every hen – on this occasion 180 girls – a new home for them to live out their retirement in peace. In the open air. With space. Room to run around and spread their wings. Seeing the state of the poor ladies at the collection has prompted this blog post. To reiterate that every egg we use is from a free-range hen & to encourage all bakers to ensure that you buy free-range too. 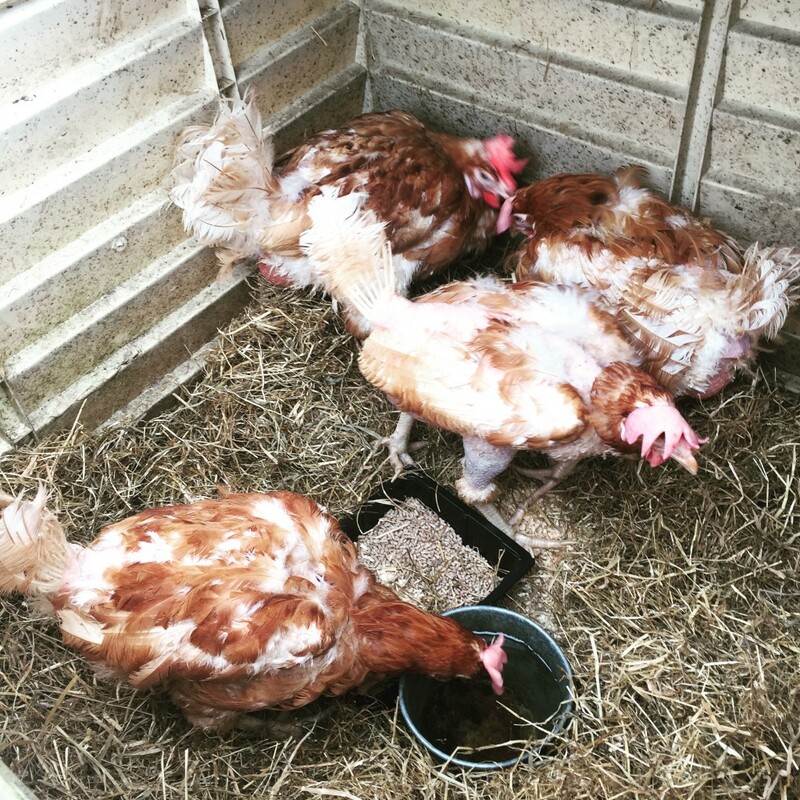 Finally, I would like to introduce you to Chelsea, Callie, Katie & Rosie – our new girls.